Orienting is the gateway to attention, the first step in processing stimulus information. 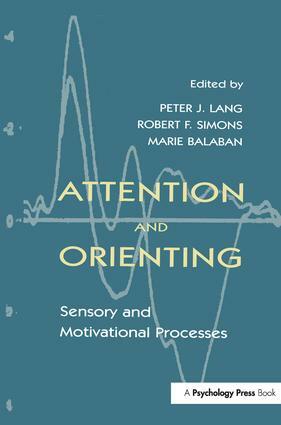 This volume examines these initial stages of information intake, focusing on the sensory and motivational mechanisms that determine such phenomena as stimulus selection and inhibition, habituation, pre-attentive processing, and expectancy. Psychophysiological methods are emphasized throughout. The contributors consider analyses based on cardiovascular and electrodermal changes, reflex reactions, and neural events in the cortex and subcortex. Stimulated by a conference lauding Frances Graham -- held before and during a recent meeting of the Society for Psychophysiological Research, the book presents current theory and research by an international cadre of outstanding investigators. A major researcher and theorist in the field of attention for more than three decades, Dr. Graham contributes an Afterword to the present volume which is both a consideration of the work which has gone before, and a new, original theory paper on preattentive processing and attention.